Nokia 6 3 GB RAM + 32 GB memory - Rs 14,999Nokia moved back to the hands of Microsoft in the year 2017. Although Nokia phones are not being built by Nokia company this time, but Foxconn's company HMD Global is building itself. The company first launched the Nokia 6 model. This is an Android phone that is quite stylish and stylish in view. The particular thing can be said that this phone works on stock Android. In the Indian market, Nokia 6 is available for sale on Amazon Store. Launched by Nokia 6, this phone is special in many ways. Its body 6000 series is made of aluminum. Significantly, the 6000 Series Aluminum Body is used in Apple iPhone. In this case, it will make you feel the best quality. This phone is slim in view and its thickness is only 7.85mm. 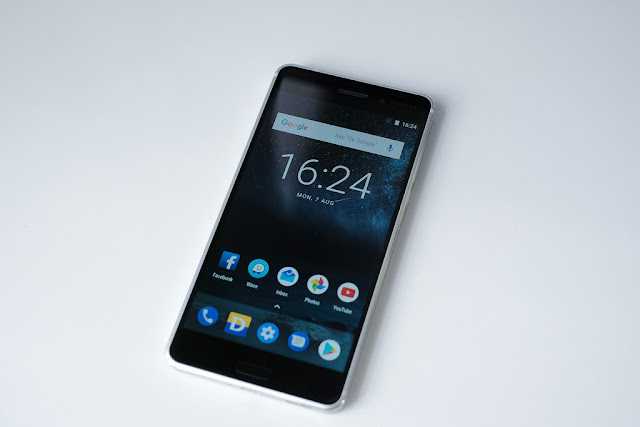 The Nokia 6 has a 5.5-inch Full HD screen. The screen resolution of the phone is 1,080 × 1,920 pixels. If the company has used 2.5 d perfume glass, then Corning Gorilla Glass 3 is coated. Apart from this, polarized layers have been used on the screen. You can also use the phone in bright sunlight. Nokia 6 has been offered on Qualcomm Snapdragon 430 chipset. It has 3 GB of RAM memory. In addition, 32 GB of internal memory has been provided. The memory of the phone is expandable and you have microSD card support up to 128 GB. Nokia 6 has a 16-megapixel rear camera for photography while the secondary camera is 8-megapixels. You will get autofocus feature with both cameras. Talk about data and connectivity, this phone has 4G LTE support. At the same time there is OTG support where you can also use the pen drive. Fingerprint sensor has been given in Nokia 6 for security. This phone has a battery of 3,000 mAh for power backup. The company boasts 32 days of talk time and 18 hours standby time.